We take pride in the outcome of your project. At Reliable Roofing, LLC Enterprises we take great pride in the outcome of our work no matter how large or small. Barry Satterlee (owner of Reliable Roofing, LLC Enterprises) has been in the construction business for 3 decades and is confident that if you hire Reliable Roofing, you’ll be happy with results of your next project. Roofing – Architectural shingles with a manufacturer’s lifetime warranty and EDPM flat roofing. 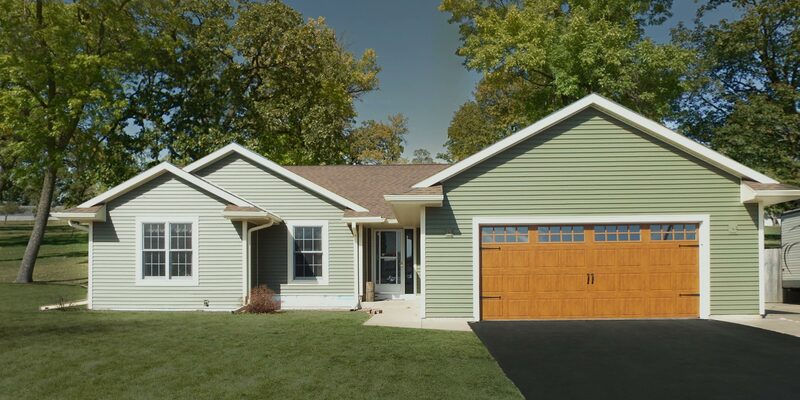 Vinyl Siding for residential homes. Windows and Doors – We specialize in replacement windows and new construction windows. Blown-in insulation for residential homes. We cannot say enough good things about Barry and his crew. Barry came earlier than expected. We have a rather large home and they tore off the old roof, made some wood repair, and installed a new lifetime warranty roof all in one day. Clean up was excellent. Barry is very easy to talk to and fully explained mistakes that were made on the previous roof as well as how he would correct those mistakes. We thought the cost was very competitive. We highly recommend Barry for your roofing needs. We’ve used Reliable Roofing twice since we’ve bought our house. Each time was after a storm caused major damage to our roof. Both times, Barry was there within a day, accessing and ready to fix what needed to be done. We can always count on him! Barry and his crew are down to earth people, and very easy people to work with. We never plan to look anywhere else for our roofing needs! Thanks Barry! Barry did a great job re-roofing our Lake Ripley cabin. He communicated well, and completed the job ahead of schedule, at a fair price, and with good quality. Cleanup was super. No debris at all that I could find. The result was just what I expected and hoped for. Price, quality, communication, timeliness, and cleanup were all excellent, but really my most important criteria was a contractor I could trust to deal fairly and do a quality job. I feel I got that with Barry. 5 stars! This company has all the things you are looking for in a contractor: Professional, quick, on time, returns calls promptly and reasonable priced. Barry and crew were so easy to deal with and their work is top notch. We’ve used Barry Satterlee/Reliable Roofing for all our roofing needs since 1980. Some of the projects were unique due to the make up of our roof, skylights, etc. He figured it out and got the job done. He has always come to do the work when he says he will be there and he stands by his work. We recommend him to others. Reliable Roofing did a great job installing our roof. In one day Barry’s crew came out ripped of the old and installed the new. I was impressed with how they protected our landscaping around the house and the clean up afterward. Even after the installation my wife and I had a couple of question, Barry showed up at our house the day after and answer them all. Knowledge and service is above no others. Thank you Barry and your crew for a job well done. Reliable Roofing recently roofed and sided our home. We live on the south side of Janesville and on May 2nd, had a storm go through our area with heavy rains, 60 mile an hour winds and golf ball size hail. Barry came down to check out our home for any damage from the storm. Roof and siding were not damaged at all. Quality, honest, local company, using quality product!! I had an unfortunate situation happen with my overhanging roof on top of my upstairs bathroom. An ice dam over the winter revealed a large hole and a failing roof. Barry was referred to me by a guy I work with. He said that he was reasonable and quick. He was right! Barry came over the next day and worked with me to get the job scheduled quickly and at a very reasonable price. Barry and his associate took care of my problem swiftly and with smiles on their faces. It’s clear they enjoy what they do and they provided great customer service as well! I would recommend them to anyone for any roofing needs! Barry installed a sliding glass door, roofed and sided our home. Barry is very honest and shared many choices and ideas on what we could do with our home. My husband and I were at a point in our lives where we were torn with this choice….. sell or stay. We absolutely love our home, but knew that an update was needed or a move?? We decided on a update, contacted Barry and the rest is history. Barry is reputable, upstanding and extremely easy to work with!! What are folks are saying on Google? I cannot express enough how happy I am to have found Barry and reliable roofing! Barry is very down to earth and a straight forward guy. He's not looking to screw people with shotty work like a lot of people in his trade do. His company is also different in that the owner (Barry) is there working. It is very obvious Barry values his reputation and his work shows it. We have had Barry replaced a flat rubber roof, new roofs on the house and garage, install new ventilation vent on roof, a new entry door, siding and metal wrapping. I don't even consider other contractors as I only want Barry doing work on my house. Very happy repeat customers! You will not be disappointed in having Barry do work on your home! Our house was done in one day. Workers were pleasant and job was professional all the way. Clean up was immaculate.